My teaching approach: I customize the lessons to fit my students level and indiviual musical taste. 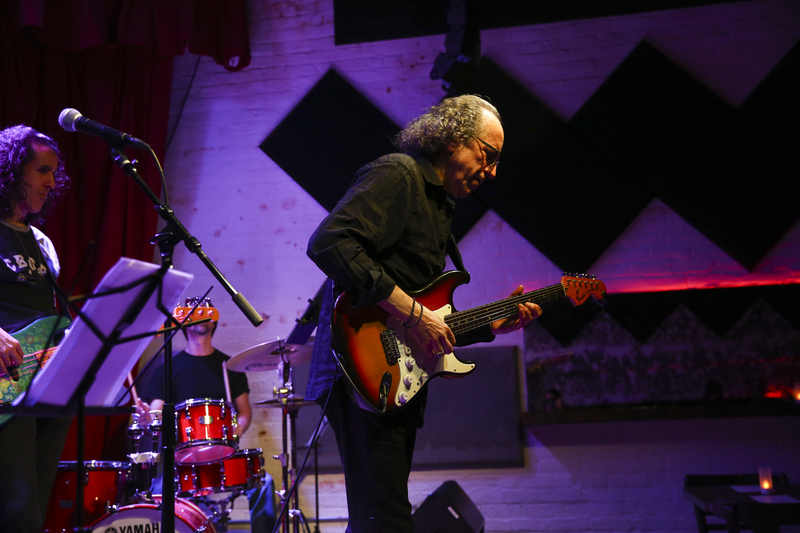 My influences are: Eric Clapton, Peter Green, Robin Trower, Jimmy Page, Jeff Beck, David Gilmour, Carlos Santana, John McLaughlin, Lee Ritenour, Sonny Landreth, Robben Ford. My guitar lessons take place in: The teacher's studio or the student's home Guitar Techniques: Lead guitar, Rhythm guitar, Open tunings, Fingerstyle, Slide Guitar, Vocal Accompaniment, Performance, Improvisation, Jamming Skills, Reading Music, Music Theory, Scales and Exercises, Song Writing, Recording and Production, Guidance In Equipment Selection Your first guitar lesson with me might include the following: I tell the student to bring his/hers guitar so that i can check how well it plays, then i ask him/her to play any song he/she knows, and then we jam together so i can determine his/her level. A guitar lesson with me might entail the following: Depending if my student wants to read music or not, we focus on technique, songs, solos,scales,music theory ear training,, while learning the songs and music that the student likes. The qualities I look for in an ideal guitar student might include the following: My ideal student is a student who is focused ,interesting in learning how to play the guitar and wants to improve fast. I love to see my students making progress and becoming better with each lesson. I enjoy teaching and instroducing my students to new music and to music theory and helping them reach their goals. I also enjoy teaching songwriting and explaining to my students how to write songs with the tools they already have and the chords they already know. Spiros has been an excellent teacher. 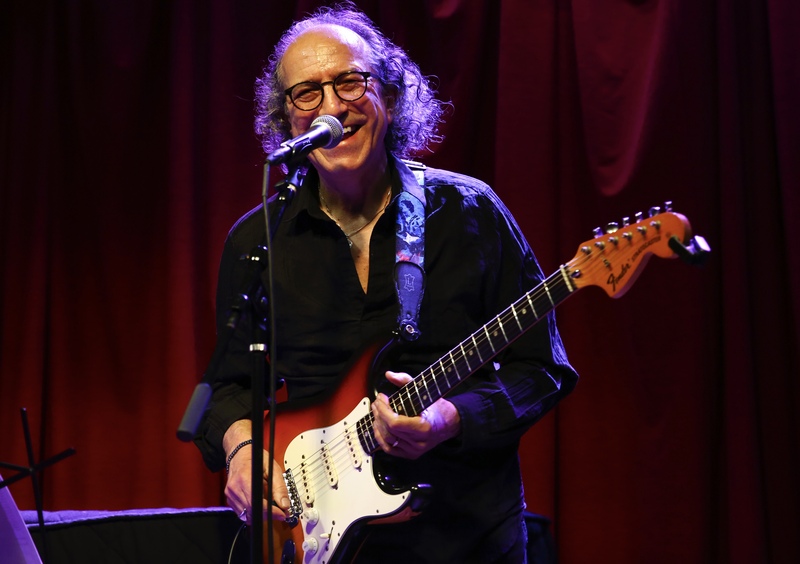 His knowledge of experience and attitude make him the perfect blues guitar player and teacher. His wealth of knowledge about blues rock and music will help anyone who's looking to expand their toolset. My guitar playing saw dramatic improvements just weeks after I started taking guitar classes with Spiros. I like that he doesn't force students into a style or technique and always makes sure to work with the student on their preferences and comfort levels. I look forward to many more classes and jam sessions with Spiros. Highly recommended. Spiros is a top pro and knows what you need , and brings the best out in you ! I had my first electric bass lesson ever, with Spiros Soukis. Mr. Soukis made me feel very at ease. I learned quite a bit on the first lesson, I look forward to my next lesson! I can't decide which Spiros has more of. Talent or Patience. He breaks things down so that I understand what he is teaching me. After just 1 lesson I can tell I am going to learn alot from this instructor. 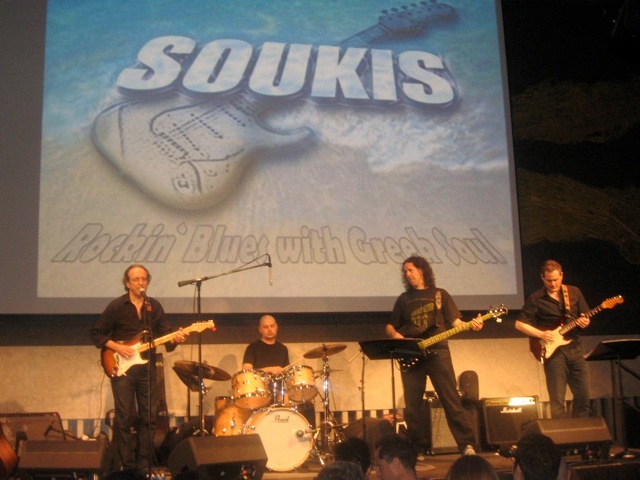 You can't go wrong hiring Spiros to help you become a better guitar player. Spiros is an excellent teacher and a very talented musician with a wealth of musical knowledge. I was a casual, self-taught guitar player, just interested in developing more of an understanding of basic theory, and improving my technique - while learning how to play some songs I couldn't figure out on my own. In the two-plus years I've been receiving lessons from Spiros, my playing and understanding of the instrument has improved remarkably. It's also been a blast getting some insight into Spiros' musical influences - listening and learning to play a lot of songs that I wouldn't have otherwise. Overall, I highly recommend Spiros for a player at any level. Spiros is by far the best music teacher I have ever had. I am in my 40s and learning bass as a second instrument. Spiros teaches more than just the instrument, he teaches you how to play music. He emails me songs and riffs and encouragement during the week between lessons to help me practice, and always has some surprises for the lesson. I work in midtown so I love the convenience of his lessons at his studio, which is just blocks from my office. I recommend his lessons highly! I meet with the student to find out his level and i start to address the problems in order to strenghten his/hers weaknesses in his/hers playing. I am Conservatory trained with a diploma from the Athens Conservatory (Athens -Greece) in Music Theory and Harmony and a degree in Musicology from Stockholm`s (Sweden) University. 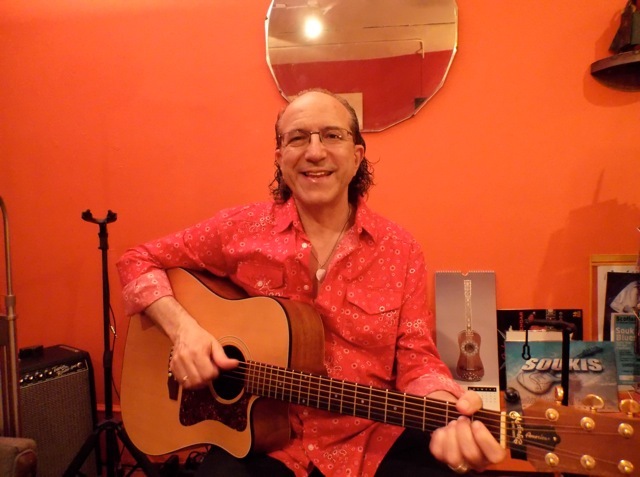 I am a performing- recording guitar player singer songwriter with regular appearances at B.B.KINg`s- Lucille`s and other major NYC venues and a vast teaching experience with many happy and satisfied students. For an hour private Lesson at my studio located at 46th st.
bet/6th & 7th ave. the student pays $70. You can also sign up for four lessons monthly and you get a reduced rate. And i am flexible to your needs and times so we can always discuss. I love teaching and passing on the knowledge and experience i have gained over the years. All kind of students from beginners to advanced and i have prepared students for Berklee and Oberlin music colleges. My student Remy who got a scholarship for Berklee college of Music. You have to love the instrument and dedicate time to it. The more you put into it the more you get out of it and the better player you become. What type of music they like, what is their goal and what they want to achieve with their music lessons.